Poetry sales are rising – UK book sales monitor Nielsen BookScan has reported a 48 per cent increase in the poetry book market over the last five years, with young women aged 13-24 making up a significant portion of this rise in poetry consumers. This is despite the fact that poetry has long suffered from a reputation as something of an elite art form. These days though, some of the bestsellers of poetry in print form are authors who started out on Instagram. This has forged a new genre dubbed ‘instapoetry’, as much heralded by its readership as derided: a notorious piece in literary magazine The PN Review accused this style of poetry as being “a rejection of craft”. The stand-out person from this new internet style is Rupi Kaur. Her debut Milk and Honey has sold 2.5 million copies worldwide. Kaur’s poetry is at times akin to self-affirming statements with added line breaks – “fall/in love/with your solitude”. If you search “poetry” on Google, the first result is “poetry milk and honey”, the one after “poetry like milk and honey”: clearly, there is a demand among people, and particularly young women, for the content and style of Kaur’s work whether it is to the establishment’s taste or not. Nina Mingya Powles, a writer from New Zealand currently based in London, says “people are connecting with “instapoetry” which I think means it is a totally valid form of art. Last year, the National Poetry Library hosted a hugely popular Instagram poetry exhibition. If it leads young people towards other kinds of poetry, that’s amazing.” Elsewhere, instapoets like Cleo Wade and Nayyirah Waheed continue to thrive. There have been huge amounts of publicity and criticism around Rupi Kaur and other women poets, some of which is more called for than others. At the same time, there are also men culminating large followings while writing in a similar format, who escape the same harsh examination. Instapoets r.h sin and Atticus also write explicitly for a female audience, giving veiled relationship advice in self-help-esque poems, in a way that could be exploiting readers with low self-esteem. If anything, there is more to critique in the way in which r.h sin, and others, are attempting to speak for women: “she misses you/but she doesn’t/want you back”. Women’s writing practice is not a new thing. Sappho, an Ancient Greek famous for her lyrics on the love between women, still maintains a rapt readership around 2,500 years later. There is a grand history of women poets who are not taught in schools, nor stocked in libraries and bookshops. “Young women have always been readers and writers of poetry, it's just that until fairly recently they’ve been doing it quietly or even secretly, away from men or in the face of men actively discouraging them,” Powles says. Now that young women are more likely to see themselves in poetry, whether it is online or in print, they are naturally more likely to respond to it. As Tamás notes: “a young and female audience has always been out there, but as a more diverse roster of poets comes onto the scene, there is an excitement, and an upsurge of sales from, a group that hasn’t always been well catered for.” The internet has not only widened the pool of people who write poetry but has made it easier to find poems to suit people’s needs and tastes. One example is the brilliant tinyletter close, a curated space for writing and poetry on intimacy that is free to read. Twitter has made it easier to connect to poets and encourages a supportive environment, wherein poets are not as high-flung as they once were, but rather normal. A.K Blakemore, a poet with two collections despite being in her 20s, has said: “I feel like a lot of the time you can read a poem by a contemporary poet and they deny ever having seen Friends. I kind of hate that”. This sense of catharsis is also the case not just for women, but other marginalised people. Poetry has real potential to gather people’s intricate and distinct emotions and experiences, and broadcast it to the whole world, not just the elite few. It is a way to format anger, disappointment, anxiety, and every other emotion that comes with oppression into something that takes just a short time to read, making it an immediate and potentially life-quaking experience – whether it is on Instagram or not. Women are chronicling all elements of rich, textured lives in their work, more so than ever in 2019 – Mary Jean Chan’s debut Flèche showcases intimate queer relationships and questions of identity and belonging, while Salena Godden’s Pessimism is for Lightweights: 13 Pieces of Courage and Resistance rails kinetically against injustice. Charly Cox’s debut collection She Must Be Mad was the bestselling poetry book of 2018, delving deep into issues of mental health, self excavation, and female desire, while Fatimah Asghar’s debut poetry collection, If They Come For Us, excavates grief, queerness, her family and history, to capture the life of a queer Pakistani Muslim woman in America. There is still further to go to address the continuing disparities within the poetry world. 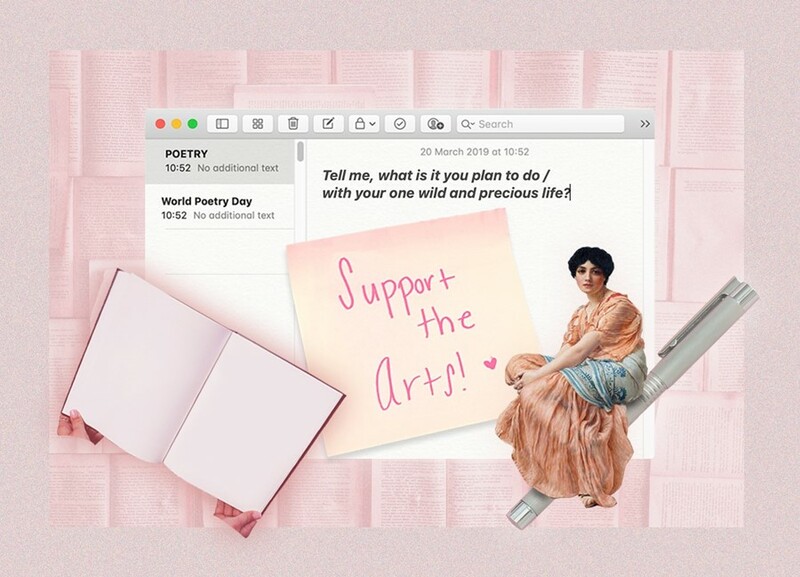 In order to combat this, Tamás believes “we desperately need more women, POC and queer people running poetry presses and journals, which would make a huge difference in a wider array of voices being published.” Class is a huge factor in limiting the scope of poetry too, and needs to be looked at if poetry is to be a fairer and more revolutionary art form that speaks to and for everyone. And surely if this happens, poetry will only continue to flourish.